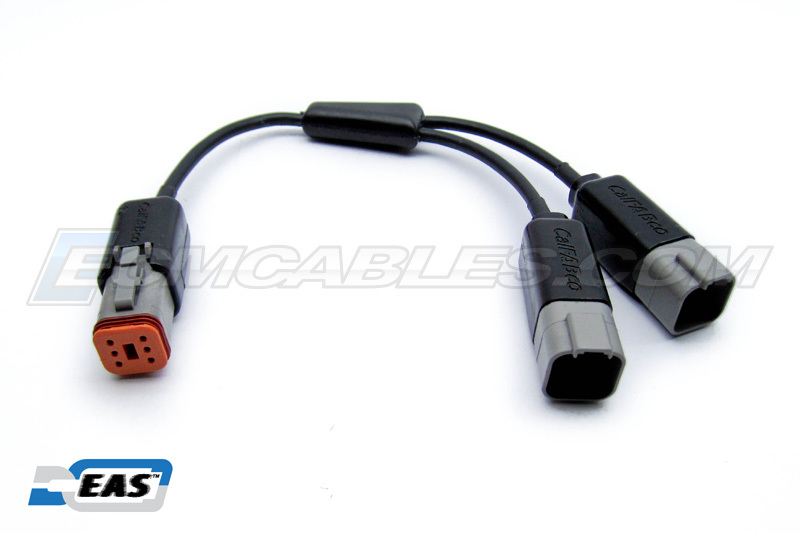 Our Wired products range from Basic ECM cables to Feature-Rich Active cables using embedded electronics. Our encapsulated terminations also range from using clear composites for LED visual assurance to incorporating our Industry Leading proprietary EAS™ technology process to create protective overmolds for IP68 Compliance. Wireless versions of our Wired counterparts, provide for Near-Field, Garage-Bay, Track-Side, and On-Road interfacing to and for local or Cloud-based Host Devices. Our Dongles connect easily with Bluetooth equipped PCs, Laptops, Notebooks, Tablets, Smart Phones etc. Each has LED visual assurance and incorporates our Industry Leading proprietary EAS™ technology process to create protective device bodies for IP68 Compliance. Our ECM Motorcycle Tuning Products are designed to connect a Buell, Harley-Davidson or Zero Motorcycle ECMs or MBBs to a PC or other Smart Device for Engine Performance Diagnostics and Tuning. All our cables are designed, manufactured and tested In-house with some components and assemblies provided by fabrication partners in North America, using only quality products designed for professional, commercial and industrial use. Our current, new, soon-to-be-released wired and wireless products will all be North American Made and sold Globally. 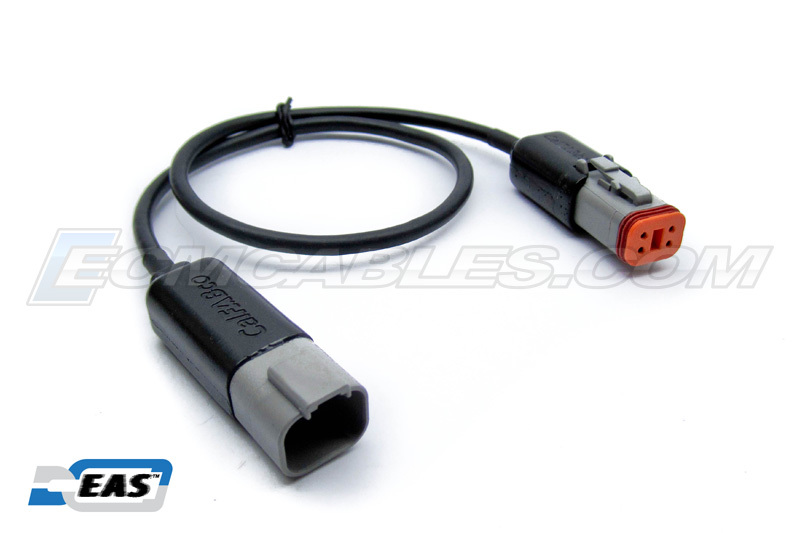 Our 4Pin and 6Pin Harley and Buell Extension Cables have been a big hit! 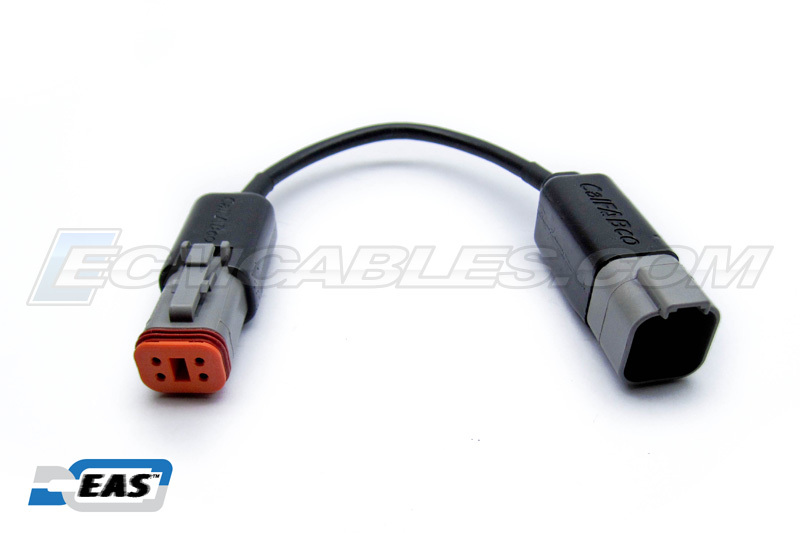 We now offer a number of specialty cables such as Splitter or Y-Cables, 4PinM-to-6PinF, 6PinM-to-4PinF and others. 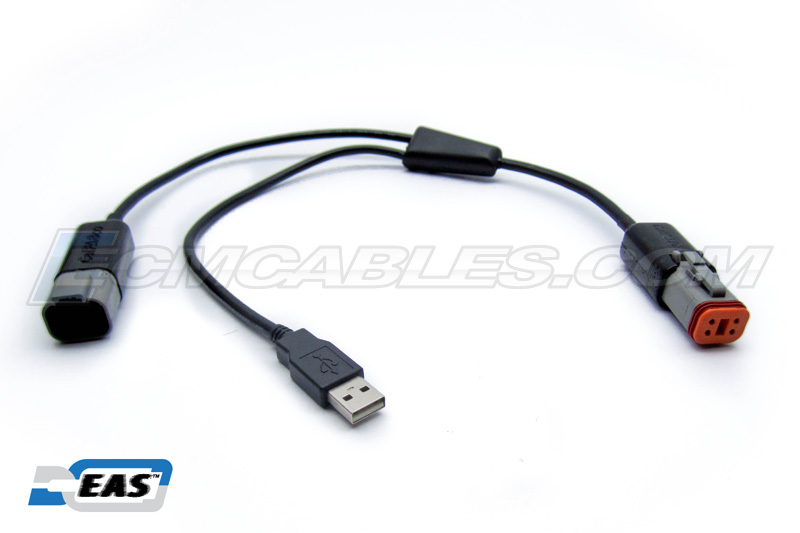 Each is constructed using High-Grade Shielded Cable and we offer various lengths. 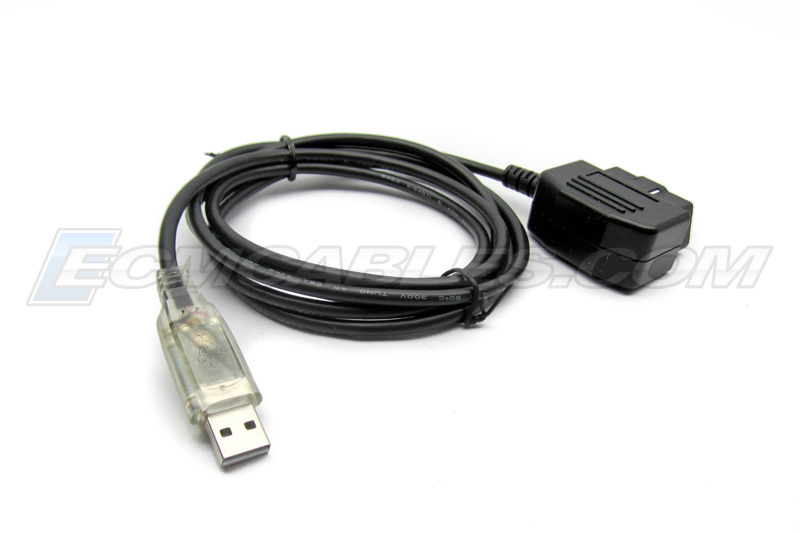 Our High-Grade Shielded Specialty Cables are ideal for Bike-mounted accessories or Diagnostic Tool Add-ons. Lengths include 12, 24, 36, 48 and 72 inches, with Custom lengths and or Special Pin-Out configurations accommodated. 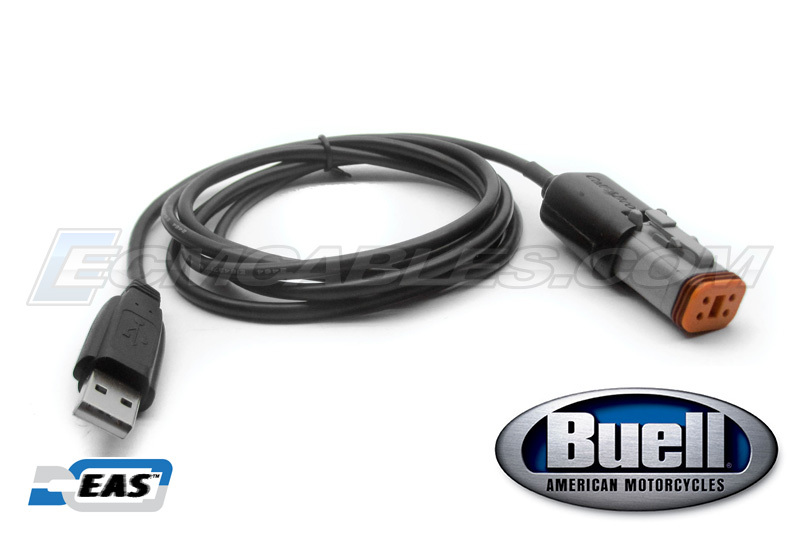 Our World Leading “Best-in-Class” Buell ECM Tuning Cables and BlueTooth ECM Wireless Tuning Dongles are designed to connect Buell ECMs to a PC or other Smart Device, for Engine Performance Tuning. All our cable products include "Shielding” properties in order to combat both EMI and extraneous power surge interference that affect unshielded cable conductors in high-noise (electrical interference) ECM Tuning environments. Additionally, our BlueTooth ECM Wireless Tuning Dongles provide interference-free communications to your PC or Smart Devices, for distances of up to 30 feet, ideal for mobile data logging. 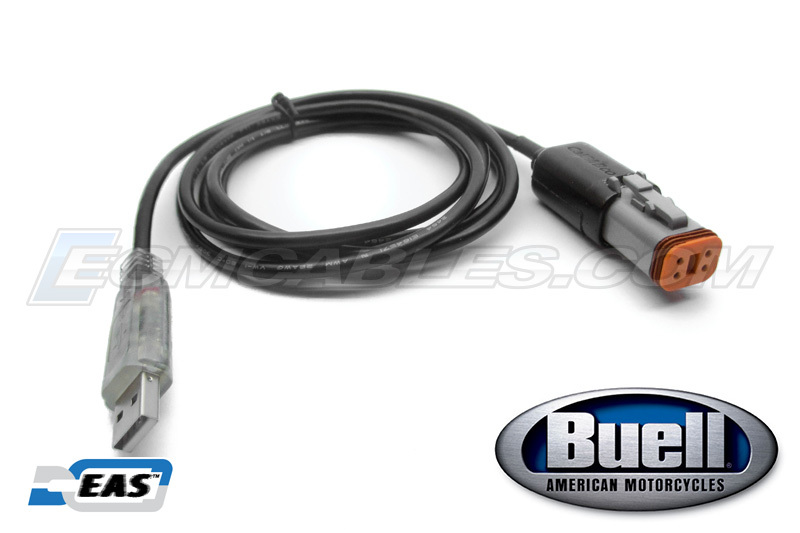 For Harley Davidson Diagnostics and Tuning we offer Full-Value J1850 and CAN Bus Compliant Harley-Davidson Data-Link Replacement Cables to connect the Harley ECU with a Tune System Box. 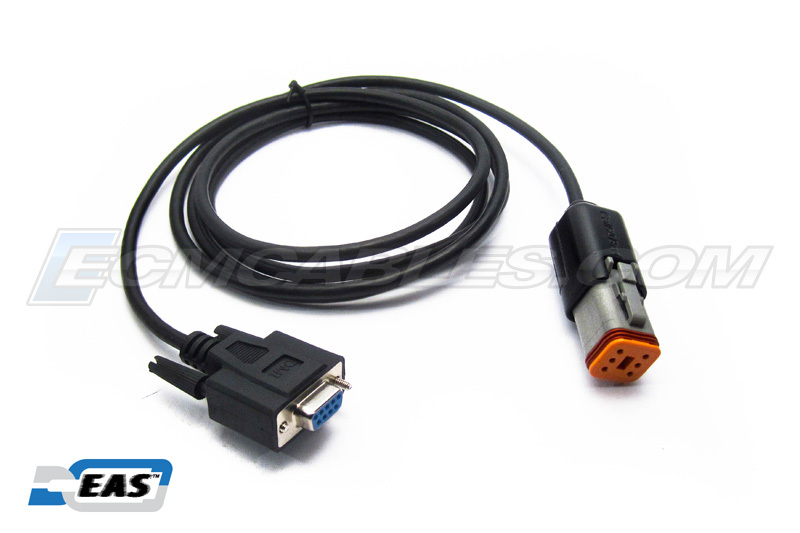 We build and stock both J1850 (4 Pin) & CAN Bus (6 Pin)Compliant Shielded Cables using the Deutsch Connector System and the Data Standards DB9 connectors for Motorcycle ECM to Tune System Box Interface. 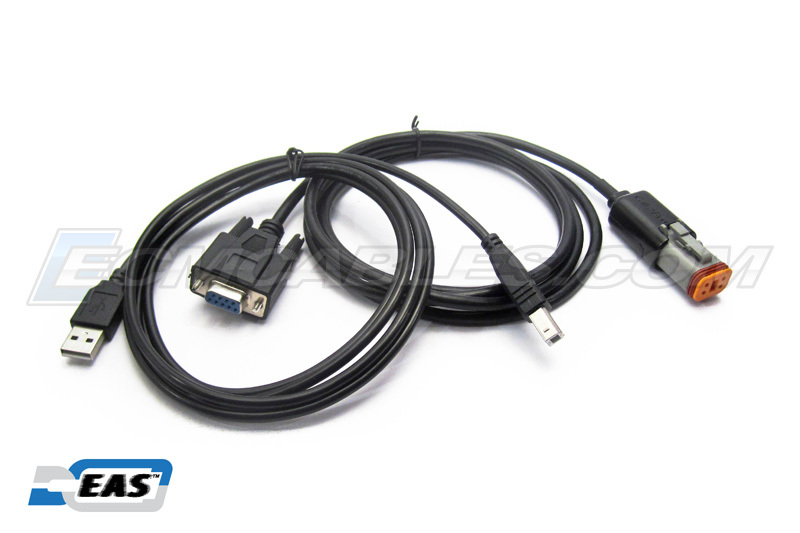 We also provide KIT packages which include a USB Data Cable and 4-Pin and 6-Pin bundled configurations. These cables are designed to work with OEM (Harley Scream'n Eagle SERT, SESPT, and SERPT as well as other manufacturer’s Tune System Boxes such as Mastertune by TTS; all widely available Harley Screamin' Eagle Black and Orange Tuning Boxes, and Mastertune Blue and Green Tuning Box Configurations. for Harley-Davidson and Buell coming soon. Better Products - Higher Performance - Quality Built ...and Priced just Right! We strive to develop, produce and market high-quality, affordable, and durable products based on varying Serial Communication Protocols, having a specific purpose or use requirement; as do all our current and future ECM connectivity products. 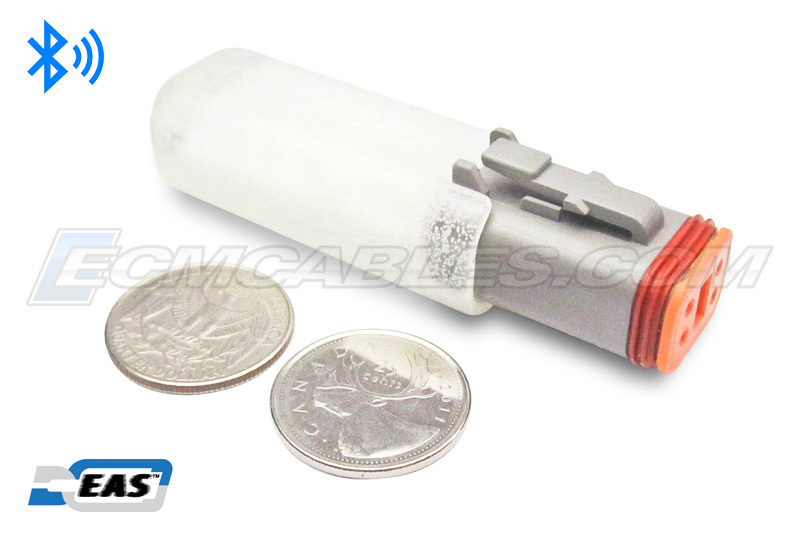 ECMCables.com products are made with calFABco’s proprietary Encapsulated Anti-Stress ™ technology ; EAS™. This feature alone, sets our products apart from other functionally and aesthetically similar products. The advantage of incorporating EAS™ within the wiring design is two-fold; the first being the ability for cable assemblies having side-by-side signal and power requirements for consumer-grade configurations which transition to industrial and commercial grade wiring for use with significantly larger wire gauge conductors and crimp terminals to accommodate existing OEM mating to connectorization requirements. The second advantage, having equal significance and benefit, is that of the EAS™ transitioning method, provisions Cable and Dongle products to withstand higher than normal stress and strain forces which would in most cases cause a failure at the point of termination. These forces, would in all cases induce failure due to separation, shearing, or breaking apart, if not using and EAS™-based solution. 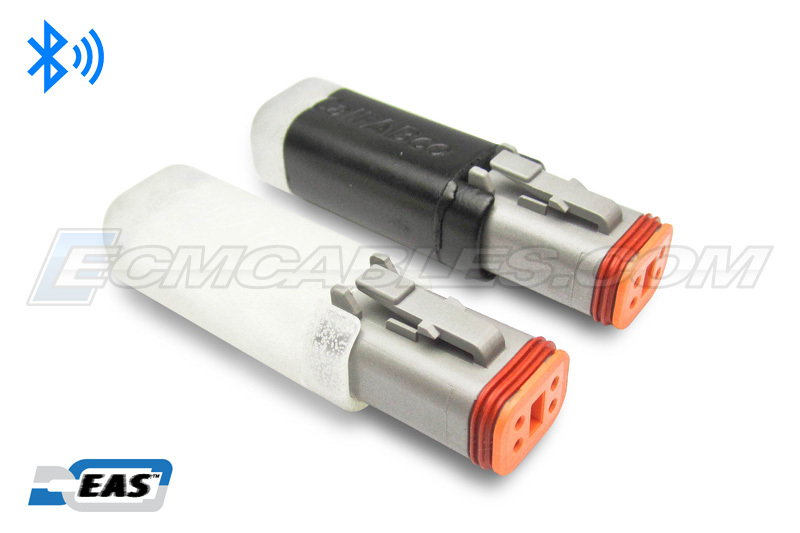 Our products implement a "Shielded Cable" solution to combat both EMI and extraneous power surge interference that affect unshielded cable conductors in high-noise (electrical interference) ECM Tuning environments and provide a higher degree of accuracy when optimizing Motorcycle Engine Performance. No known competitor declares use of a "Shielded" implementation, and none provide transition capabilities from varying wire gauges to connector assemblies. Our Award Winning Design Team have been building Serial based products since the early 1980s, and maintain ties to with USB-IF, Bluetooth SIG, and USB, Bluetooth and Embedded Chip companies. Each product is made using the highest degree of quality workmanship; beginning at the design stage and maintained throughout the complete fabrication and testing stages. Attention to Detail...at every step of the way. We are firmly committed to providing best-in-class, reliable ECM products and include 30Day Limited Warranty at minimum, on each of our ECM Products. 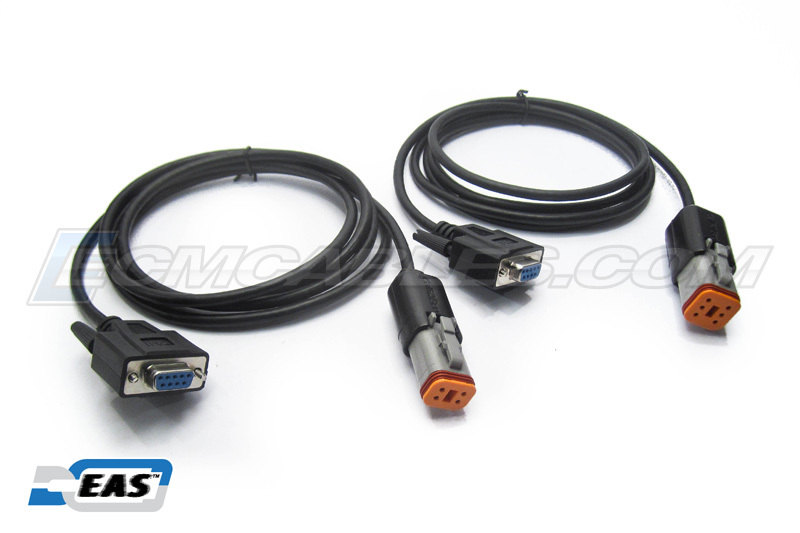 Recertified products help save money when buying an ECM Cable. Our recertified or refurbished products started out as either Customer Returns (RMA), or production units that did not initially pass QA inspection. These items may have minor cosmetic issues (scratches, etc.) which do not affect the performance of the unit, and carry the same warranty, and same return policy, as our NEW products. Recertified items are available ONLY from OUR on-line stores, for a limited time, and only while supplies last. Since these products are sold at a substantially reduced price, discounts or other special offers do not apply. Each component is carefully selected to comply with the engineered usage criteria and design specification, of each finished product. Both components and fabrication processes are specifically focused to ensure highest degree of compliance in terms of grade, type, and temperature rating. We've recently launched our new Support Portal at support.ecmcables.com to provide ticket-based service and helpful information to further support our products and processes. Making our products available through our online Shop, Ebay and Amazon, has shown us that a single-point Support Portal would serve our Customers, better in every way. We are not responsible for any damage that may result from the use, and or misuse, and or lack of knowledge and/or lack of understanding of either or both the product, the associated products, and or the combined products or use there of, including but not limited to the alteration of factory ECM settings in any way or form, and or of the laws relating to such alterations and or changes to emissions, and or emission output, by use of the product and or associated products. Feel free to connect with us; we're happy to address any questions or concerns. Simply fill in the form below and one of our Team members will contact you promptly. For Returns on Warranty Items see Shipping/Returns information in the Help Center section on our Support site. We are currently seeking Distribution Partners in Central and South America, Europe, and beyond, Here in North America, we are looking for owners of brick’n’mortar-Bike-Parts-Shops looking to carry our products. All interested parties are invited to complete the Contact Form below with the relevant information, and simply insert the words "Make a Connection," and our Sales and Marketing Team members will contact you promptly. Use this form to contact us with any question or concern. Please ensure to include your correct email address when submitting. ECMCABLES.COM is a privately owned and run website operator associated with a privately owned and operated manufacturer and distributor of technology products for end users and resellers alike, mostly within the United States and Canada. In order to better serve you, ECMCABLES.COM may request personally identifiable information in order to deliver the products and services that you request. Any and all Personal Information that is provided may be protected under federal regulations. At the point of collection, you will be informed that your personal information is being collected, the purpose for which it is being collected and that you have a right of access to the information. ECMCABLES.COM collects general data pertaining to each Website visitor, such as the visitor's IP address, operating system, browser type and version number, time and duration of visit, and the web pages viewed. This information is aggregated with all other visitor information. Our website may make use of "per-session" cookies. Cookies are small text files offered to your computer by website servers in order to keep track of your browser as you navigate the website. "Per-session" cookies are stored only in your browser's temporary (cache) memory and are deleted when you shut down your browser. You may choose to set your browser to detect and reject cookies without impacting your ability to view our site. Other websites to which we may provide links, may be governed by different policies. ECMCABLES.COM does not assume responsibility for the information practices of these other websites, and we strongly encourage all website visitors to review the privacy policies and statements of all externally linked websites. ECMCables.com warrants the ECMCables.com electronic device(s) (the "Product"), and only the Product, against defects in materials and workmanship under normal use for a period of 30 days from the date of retail purchase by the original purchaser ("Warranty Period"). Under this Limited Warranty, if a hardware defect arises and a valid claim is received by ECMCables.com within the Warranty Period, solely at its option and to the extent permitted by law, ECMCables.com will either (1) repair the Product at no charge, using new or refurbished replacement parts or (2) exchange the Product with a new or refurbished Product. In the event of a defect, to the extent permitted by law, these are your ("the purchaser) sole and exclusive remedies. 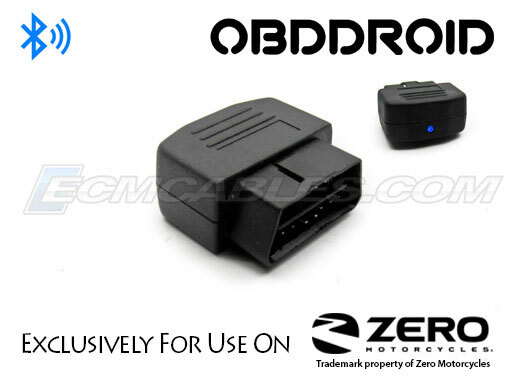 This Limited Warranty is valid only in the United States and Canada for Products sold in the United States and Canada. A replacement Product or part assumes the remaining warranty of the original Product or one month or 30 days from the date of replacement or repair, whichever is longer. This Limited Warranty applies only to the Product manufactured by or for ECMCables.com that can be identified by the ECMCables.com trademark, trade name, label or logo affixed to it. The Limited Warranty does not apply to any (a) ECMCables.com products and services other than the Product, (b) non-ECMCables.com hardware product, (c) consumables (such as batteries), or (d) software, even if packaged or sold with the Product or embedded in the Product. Refer to the licenses accompanying the software for details of your rights with respect to its use. ECMCables.com does not warrant that the operation of the Product will be uninterrupted or error-free. 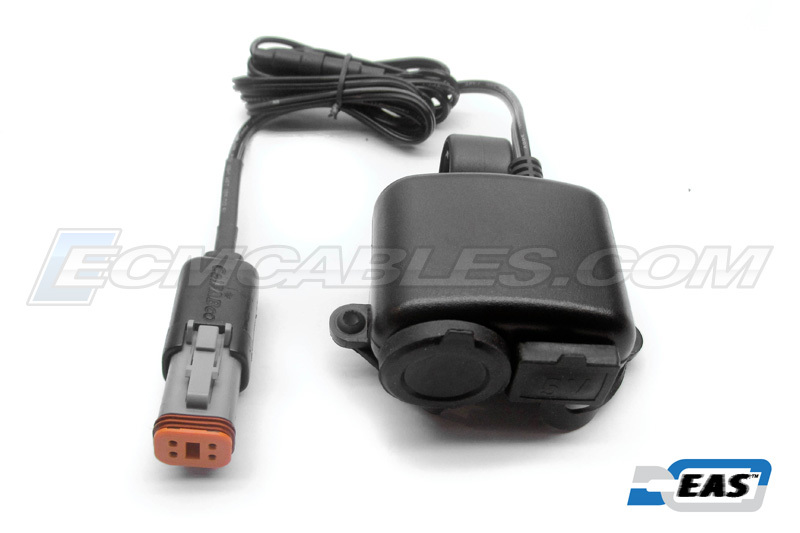 ECMCables.com is not responsible for damage arising from failure to follow instructions relating to the Product's use. This warranty does not apply to a Product or part of the Product that has been altered or modified (e.g., to alter functionality or capability) by anyone who is not a representative of ECMCables.com. In addition, this Limited Warranty does not apply: (a) to damage caused by accident, abuse, misuse, flood, fire, earthquake or other external causes; (b) to damage caused by operating the Product outside the permitted or intended uses described by ECMCables.com or with improper voltage or power supply; or (c) to damage caused by service(including upgrades and expansions) performed by anyone who is not a representative of ECMCables.com. Recovery and re-installation of software programs and user data are not covered under this Limited Warranty. This Limited Warranty does not cover the cost of returning the Product to ECMCables.com the purchaser is solely responsible for the cost of returning the Product. 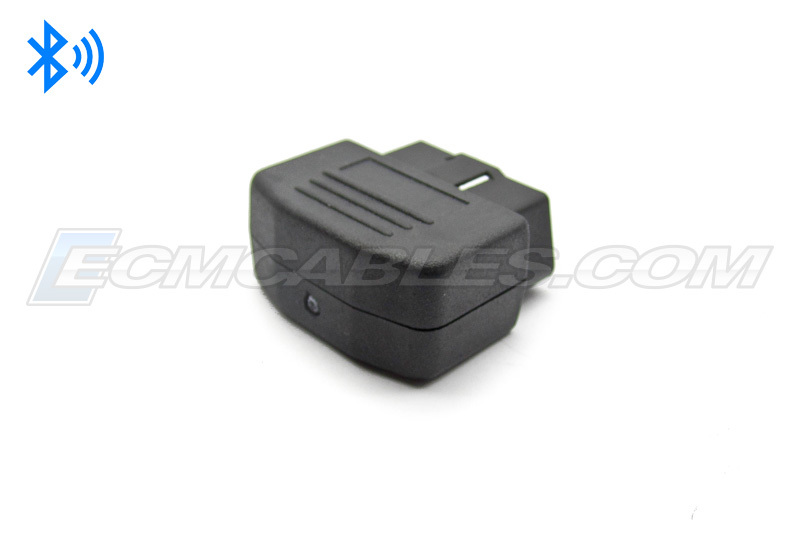 All product information is provided by ECMCABLES.COM. Every effort has been made to ensure the accuracy of all information contained herein. ECMCABLES.COM makes no warranty expressed or implied with respect to accuracy of the information, including price, product editorials or product specifications. Materials on this website are provided with "Restricted Rights". Use, duplication, or disclosure is subject to restrictions as set forth in applicable laws and regulations. ECMCABLES.COM and ECMCABLES.COM logo, trade names are trademarks used under license by ECMCABLES.COM. All Rights Reserved. All trademarks, service marks, logos, slogans, domain names and trade names (collectively "Marks") are the properties of their respective owners. ECMCABLES.COM disclaims any proprietary interest in Marks other than its own. The copyright in all original material provided on this website is held by ECMCABLES.COM, or by the original creator of the material. Except as stated below, none of the material may be reproduced, distributed, republished, downloaded, displayed, posted, transmitted or copied in any form or by any means, without the prior written permission of ECMCABLE.COM, and the copyright owner. Permission is granted to display, copy, distribute and download the materials on this website solely for personal, non-commercial use provided that you make no modifications to the materials and that all copyright and other proprietary notices contained in the materials are retained. You may not mirror, scrape, or frame this website or any other pages or materials contained on this website on any other website, web page or any other server. You may not connect "deep links" to this website, i.e., create links to this website that bypass the home page or other parts of the website without prior written permission. Any permission granted herein terminates automatically without further notice if you breach any of the above terms. Upon such termination, you agree to immediately destroy any downloaded or printed materials. Any unauthorized use of any material contained on this website may violate domestic or international copyright laws, trademark laws, the laws of privacy and publicity, and communications regulations and statutes. Customers are responsible for all shipping fees for purchases through ECMCables.com. The shipping cost, may be, in some instances, included as part of the item cost, and as such, may not be displayed as a separate cost or line item. Customers are responsible for entering correct shipping address information; any returns for incomplete addresses or incorrect addresses may be subject to additional shipping charges. We encourage customers to use addresses in which shipments can be received during business hours. If using a PO Box location, please also include an alternate physical address should the delivery service not be able to make PO Box deliveries. A signature may be required upon delivery. By using the purchase facility on this site ECMCables.com, you agree to be responsible for receipt of goods and to track your delivery in a reasonable manner, if and when tracking information is provided to you. Should your package be deemed as undeliverable by the delivery service, additional fees may be charged to make arrangement with you to attempt another delivery. Deliveries in the U.S. will be predominantly via U.S. Postal Service and may include tracking facilitation as determined by the U.S. Postal Service. Deliveries in Canada, will be predominantly via Canada Post, and will only include transaction confirmation for each shipment individually, due to the high cost of additional charges for Canada Post tracking facilitation. ECMCables.com only accepts returns for items that we shipped incorrectly (as wrong part shipped), or for Warranty related matters. You will need to ensure the product(s) are returned with any and all inclusions and accessories and in good physical condition (no scratches) such that the product is resale-ready. Prior to returning any product, you must first acquire an RMA number and instructions from ECMCables.com and inform us of the date upon which the item was shipped back to ECMCables.com, ECMCables.com will not accept any return without an RMA Number clearly marked on the outside of the package. Defective Product: Should the product is received as defective, and or if the product fails to to work for term of the warranty, the customer, at his or her own expense will be required to contact a ECMCables.com Customer Service Representative to procure a RMA Number. ECMCables.com will only be responsible for shipping fees for product being sent to the customer. Customers will be responsible for any shipping costs in shipping the Retrun items to ECMCables.com. If any product is returned incomplete, ECMCables will either return the product back to the customer at the customer's expense, or the Customer will be required to pay a fee for those items which are deemed by ECMCables only, to be missing, included but damaged beyond repair, and or included but incorrect as per the invoice/RMA documents. Warranty: ECMCables.com will provide a Thirty Day (30-Day) Limited warranty on the products, as explained clearly on the ECMCables.com website, relating to manufacturing defects, and or intended performance. This warranty does not apply to any defect or failure other than a manufacturing defect and or a manufacturing defect causing a failure of the intended performance. ECMCables.com may change this Agreement from time to time. Any changes will be posted at the Terms of Service section of the ECMCables.com website, currently located at ECMCables.com. Notice will be considered received by you and any such changes will become binding and effective on the date the changes are posted to the ECMCables.com website. The Agreement as posted supersedes all previously agreed to, electronic and written terms of service.